When homeowners run into problems with the systems in their homes, the last thing that they want to hear is an accusation that they themselves are to blame for the problem. The fact of the matter is, though, that many instances of clogged drains are actually the direct result of user oversight. Can being more careful completely eliminate the risk of clogged drains in your home? Of course not. 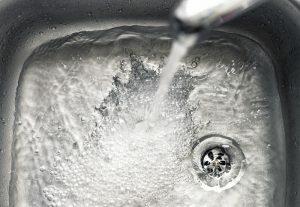 Will it help to limit the occurrence of clogged drains? You bet. Our plumbers in New Hampshire have some tips to help you avoid clogged drains in your home. As you’ll see, most of these tips are really quite simple. It is often the most simple things in life that are overlooked, however, so we think that this reminder is well worth the read! Be sure to put these practices into place, and remember that we are here to help if you do encounter clogged drains in your home. What do you when you are done shaving your face over the sink or your legs in the bathtub? Grab the shower head or cup your hands under the faucet and manipulate the water in order to better clean out the basin or tub? Well, this is not at all what we are talking about when say to clean them out! The best thing to do is to grab some toilet paper and wipe out the sink or tub. It will take a moment or two longer than simply rinsing the hairs down the drain would—but it can also really help to reduce the risk of clogs. What about the hairs that might get into the drain anyway, though? No, not covered completely. That would render the drains unusable! You can, however, run to the home goods store and spend just a few dollars on some drain covers. These simple mesh or steel screens will trap materials that can clog the drain up before they ever have a chance of doing so. Be sure to remove and clean these simple traps regularly, too. You don’t want them to back up drainage in the fixtures because they are too dirty. If you wait too long between cleanings, they can overfill. Then, when you do remove them, you risk the overflow going down the drain anyway! Fats. Oils. Grease. The drains natural enemy. Why? Because homeowners sometimes assume that, because these materials are liquid when they are hot, they can just be poured down the drain. The fact of the matter, however, is that they will congeal when they cool down. Once that happens, clogs will form. Then, those clogs will collect other materials as they go down the drains. It’s a vicious cycle, and the clogs are only going to get worse and worse until you need to have your drains professionally cleaned. If and when this happens, mind you, we are happy to effectively clean your drains for you. Schedule your plumbing services with us. Call HB Energy Solutions for all your energy needs. HB Energy Solutions delivers peace of mind.